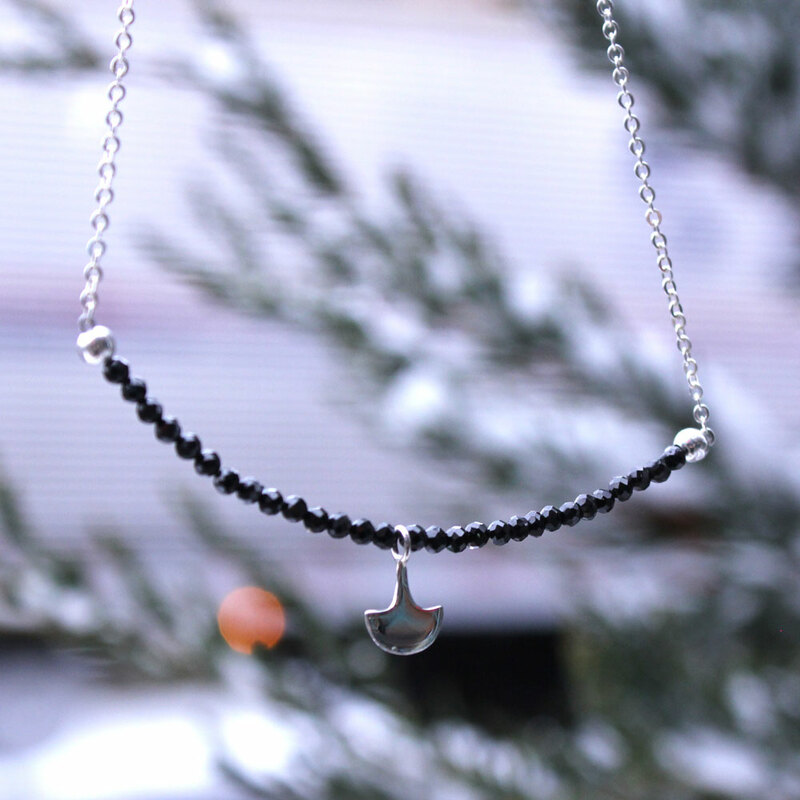 A dainty axe dangles from this cute but tough black spinel necklace. 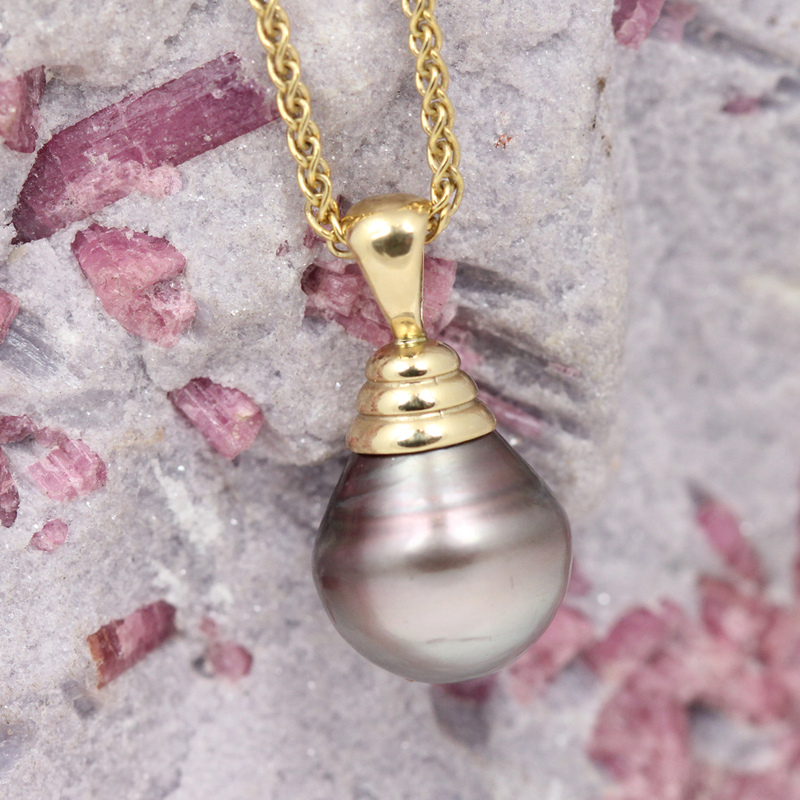 One of a kind turquoise necklace with heavy custom gold chain. 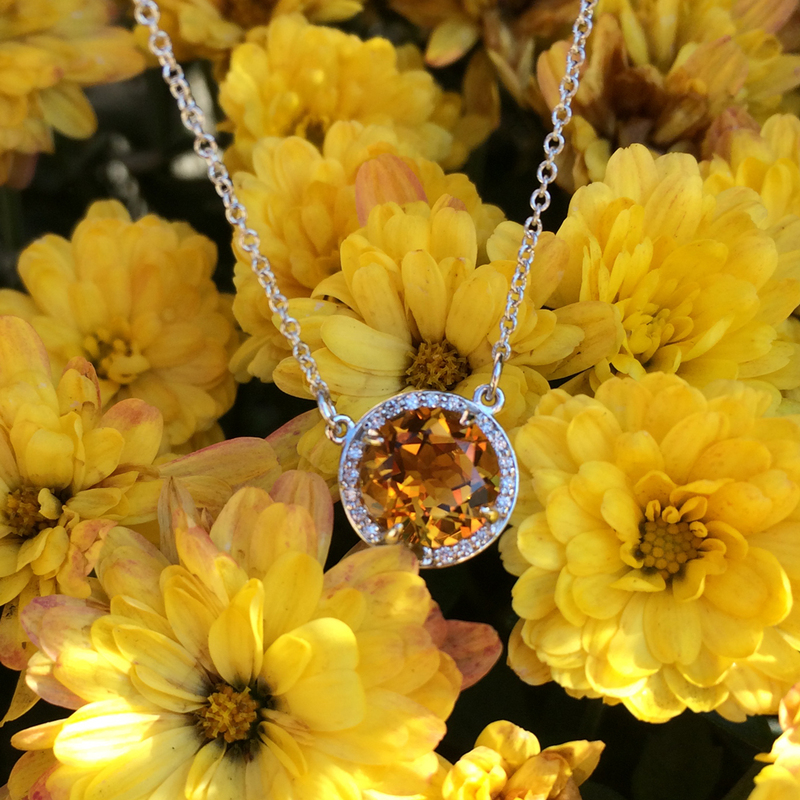 A sunny citrine glitters in a halo of diamonds. 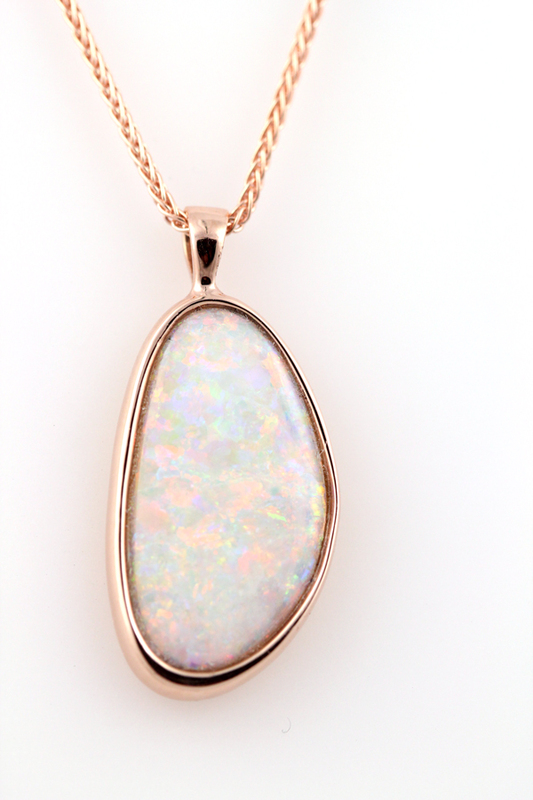 An Australian opal shimmers in this rose gold pendant. 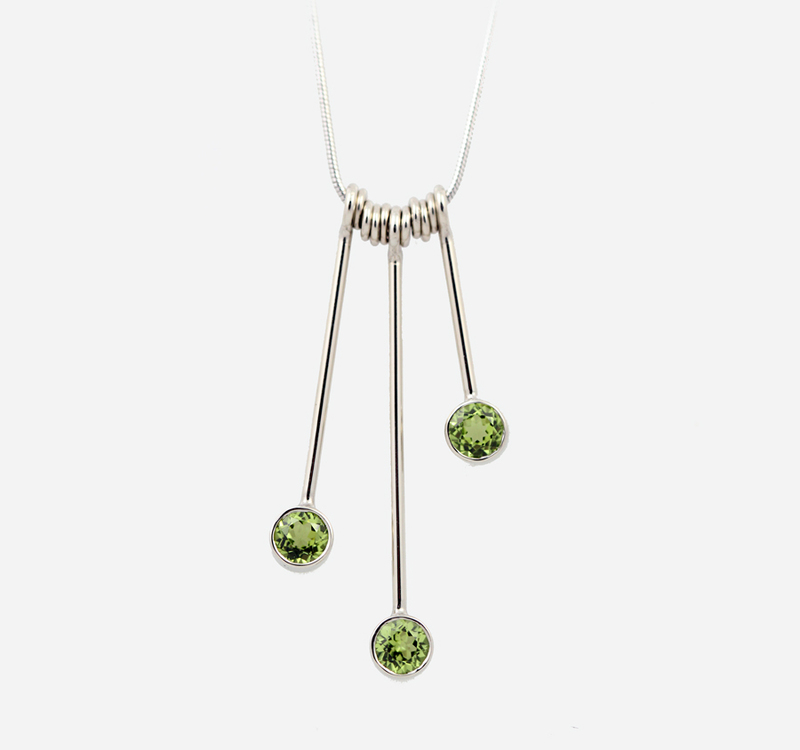 This simple birthstone necklace features bright peridot in graduated white gold drops. 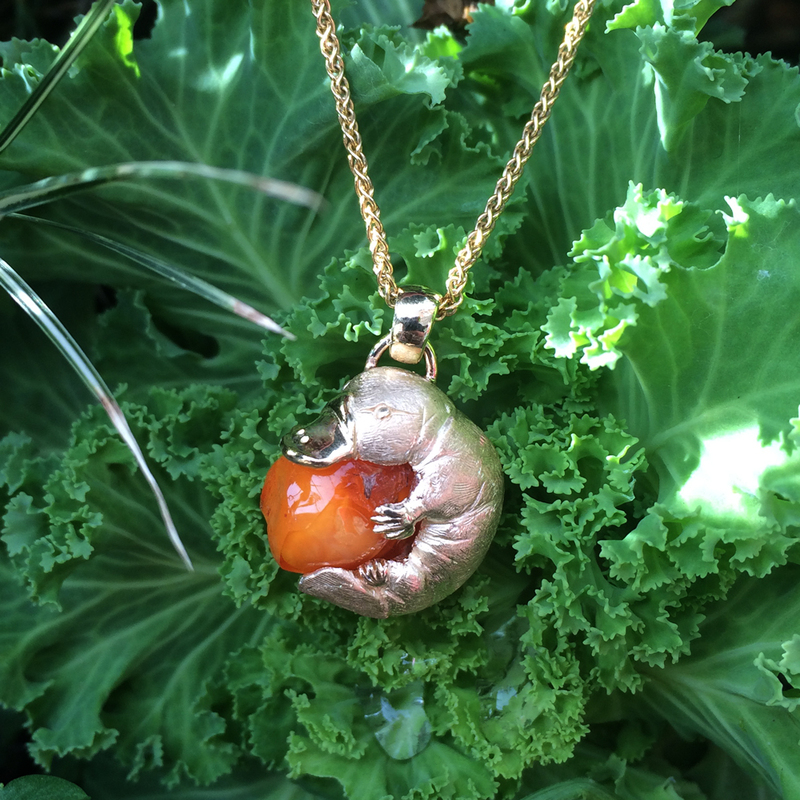 A whimsical, hand-carved golden platypus snuggles a special found gem. 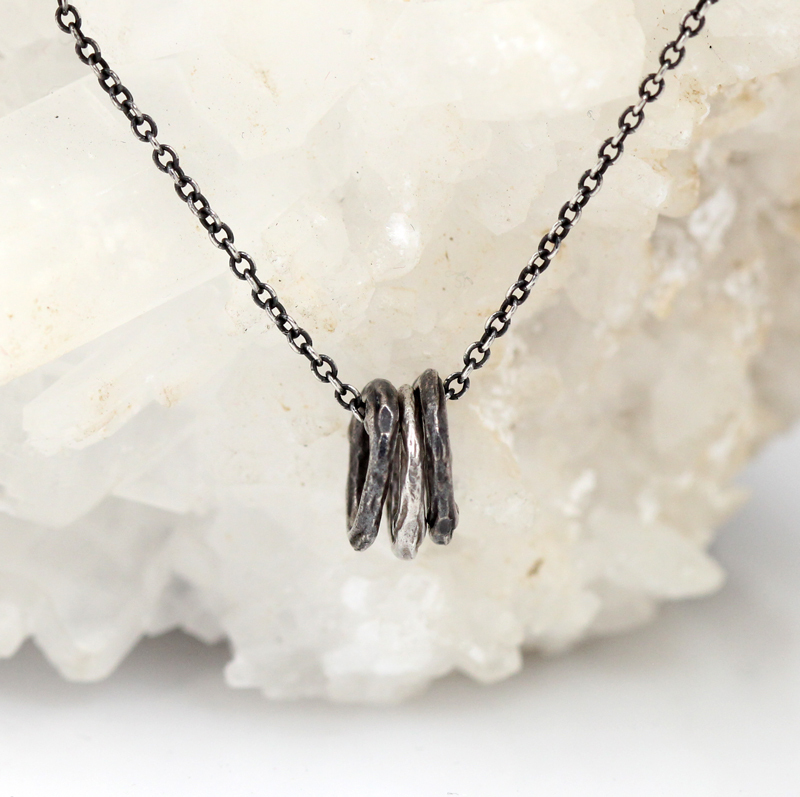 Teeny twigs, in natural finish and oxidized, adorn this arboreal necklace by Pippa Jayne Designs. 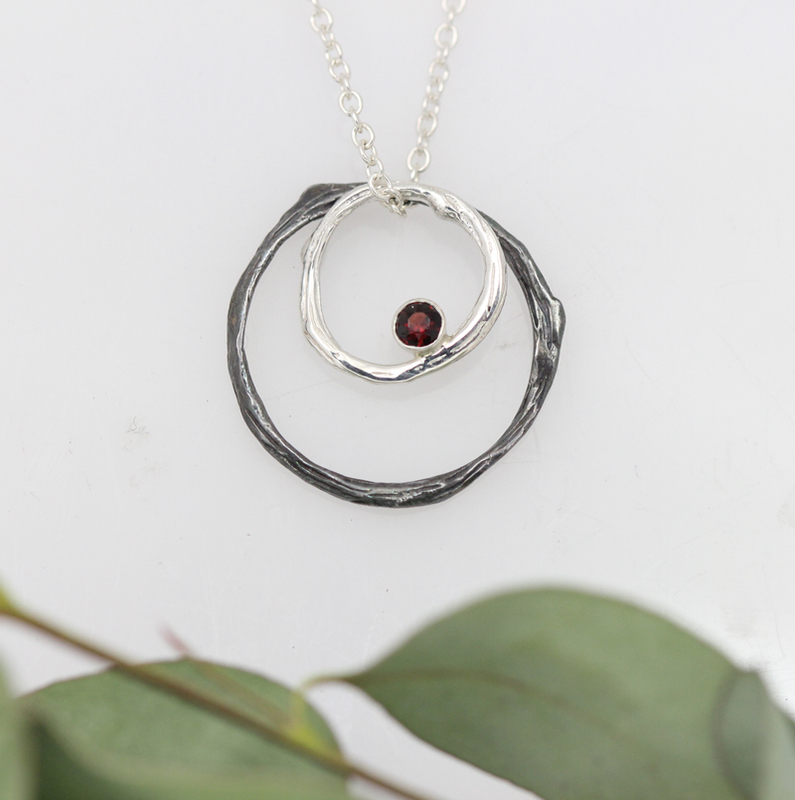 A special birthstone-bedazzled double infinity twig necklace by Pippa Jayne Designs.